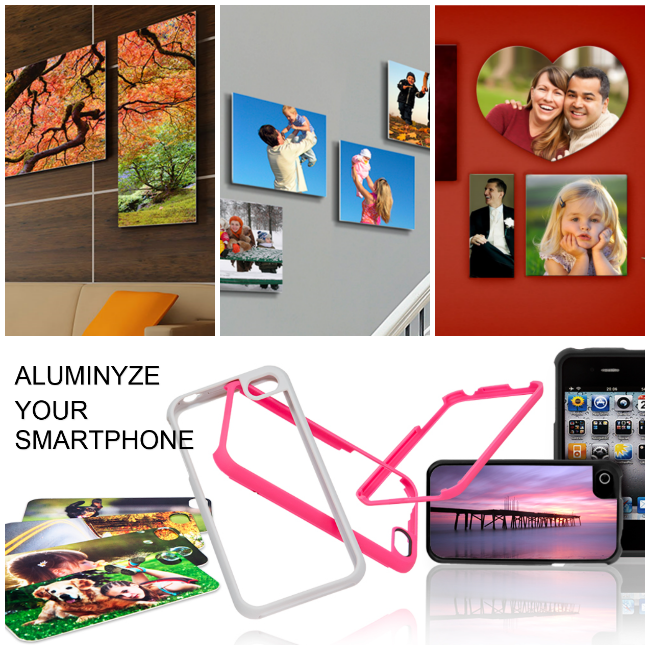 Aluminyze Your Photos! 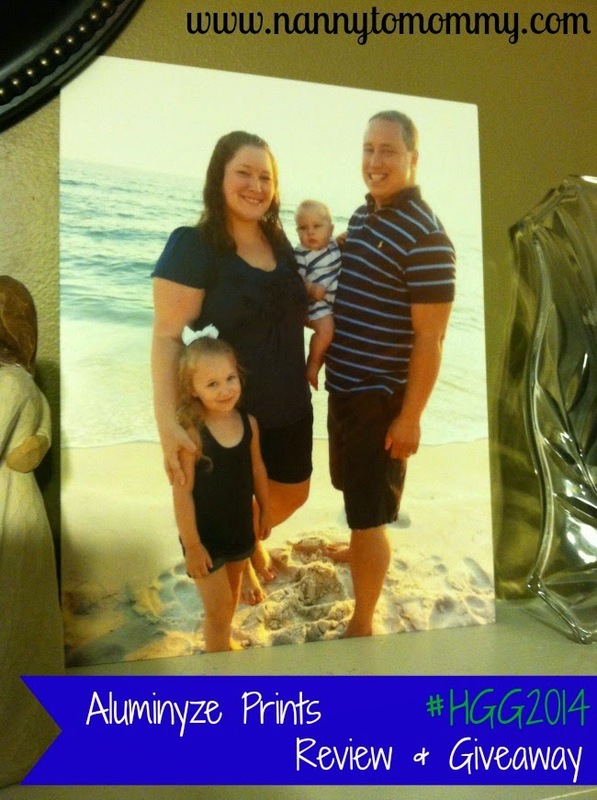 #HGG2014 + Giveaway! I love getting prints as gifts, so I was extremely excited when I received the opportunity to review a print from Aluminyze! I don't know if I've told this story yet, but when we went on vacation this year, my in-laws tricked me and said an HOUR before that they were paying $200 to get a professional to take pictures so we needed to look nice. I guess I'm the cheese ball because I took the matching family look. Everyone (although it was unnecessary) thought we looked really cute. And our pictures (taken with mobile phones) turned out pretty good, so I wanted to use one of them. Disclaimer: This giveaway ends at 11:59 PM EST on December 5, 2014. 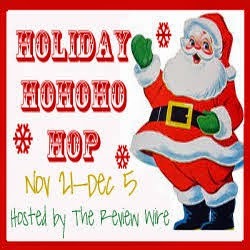 The Holiday HoHoHo Hop Event Bloggers are not responsible for sponsors that do not fulfill their prizes. I received one or more of the products mentioned above for free using Tomoson.com. Regardless, I only recommend products or services I use personally and believe will be good for my readers. I love that it can be hung without a frame. This way, even if your decor style changes, you don't have to switch out the frame. I like that they are frameless and that the photos are so clear. I love that they can be made into so many different shapes. I love how they put your image infused into a sheet of aluminum, very cool way to display a picture. I love that they are so well made and clear! Just stunning pictures such clarity in them too. I like the medium used to display pictures. i like that most items are shipped within 2 to 5 business days! I love this unique way to display photos. The pictures seem so clear and beautiful! WOW! This is awesome :)! I sure hope I win this one!!! What I like most about Alumniyze is that they offer a free sample kit to see the product before actually buying it but based on their website I think I would gladly order without a sample because all the pictures featured on their website are so crisp, clear and the color is amazing! It looks like it would make my pictures look great. I'd love to have a few. I love these. They are gorgeous! I really like that these can be used without a frame. I love the simple look! I like that they are lightweight and durable. I had never heard of Aluminyze until now and I think it is very cool. I like that it is durable and waterproof but the fact the picture is infused into a sheet of aluminum is just, WOW. I like how clear aluminyze looks and would love to win this one. I love that they can be hung without a frame. I like that you could hang outside because they are durable against weather conditions. These prints seem more vibrant that other photos I have seen similar enlargements of. I love all the different shapes you can get: license plate, ornaments. Very cool! I like the fact that they have speedy shipping, shipped out within five to ten days. I love the frameless contemporary style! so modern and sleek! I love that they offer Ready Art. Sometimes it's so hard for me to decide on a picture. They look so alive. They really don't look like pictures. I love the way they go up that wall along the staircase. I love the vivid colors and how long it will last in any type of weather. I like that the prints are very vivid!! I like that you can aluminyze a cover for your smart phone.